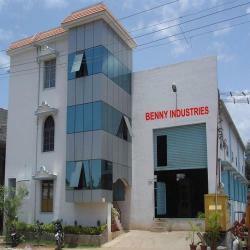 We are one of the leading manufacturers of quality Machinery for the Construction Industry. Our range includes Bricks Concrete Paver Machine, Flyash Brick Making Machine, Concrete Block Machine, Hollow solid block making hydraulics machine, Mosaic Tiles Machines. In addition to these, we also offer Designer Vibro forming machines, Concrete Planetary Machines, Pan Mixture and Concrete Mixture Machines. Further, we also customize our range of products as per the specifications detailed by our clients.